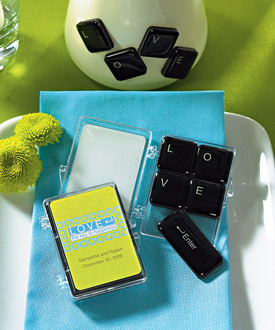 Show everyone at your wedding that "LOVE is the key to happiness" with these magnetic keys. A wonderful favor for your guests to remember your wedding with. You must order the minimum of 6 packages. Size: 1 7/8 x 2 1/2"
Personalization and clear case are included.